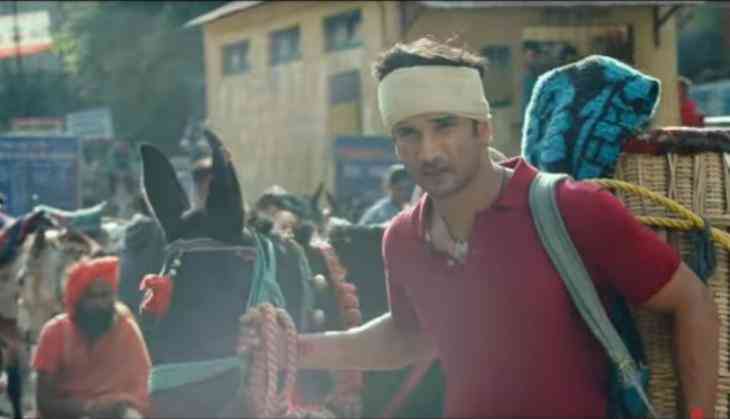 The first song of Sushant Singh Rajput and Sara Ali Khan starrer film Kedarnath is out and with the chants of Namo Namo, the makers have started the promotions of the film. The first song of the film is Namo Namo that is a devotional song chanting the Mantra of Namo Namo Ji Shankara. In this song, you will see Sushant Singh Rajput as a Muslim pithoo who takes an old age woman to the temple taking her on his back. He helps her in every phase and in the last the women give all love to him. The song has shot in the beautiful locations of Kedarnath temple across the locations of Uttarakhand. The soul touching number is dedicated to Lord Shiva, is sung and composed by Amit Trivedi, and the lyrics have been penned by Amitabh Bhattacharya. While this film is supposed to release on 7th December 2018.